Discover why 3P Photography is the first choice for School Photos in Perth. Reach out to our Team for School related service inquires. Get more information and answers to your questions. Get in touch with us for assistance by filling out the Query Form. 3P Photography is owned and operated by husband and wife due Fiona and Jeremy Atlan. With years of business knowledge and Photography skill behind them, Fiona and Jeremy felt there was something lacking in the school photography industry and set out to create a company that provided fresh and exciting services. 3P Photography has grown over the last ten years, with the help of some incredibly talented team members and has all the while maintained a fantastic reputation for its highest level of customer service, technological innovations and exquisite designs and styles. Fiona Atlan is the smile behind 3P Photography and the force that drives the success of its Award Winning Photography Team. 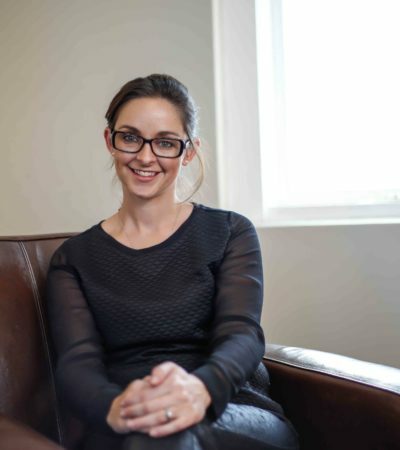 Born and raised in Australia, she spent eight years in the Beauty Therapy industry, running a salon and a Massage Tutoring business from the age of 22, but truly gained her business acumen working in Business Development for a high profile Perth based Real Estate company. Along with her husband Jeremy, Fe started 3P Photography in the spare bedroom of their home while she was pregnant with their first child. As the business – and the family – grew, they spread into the largest bedroom, then the dining room before finally up offices in Midland. Having outgrown the space once again, a recent move in 2019 to a brilliant space in Malaga now sees 3P Photography living on Enterprise Crescent. Known for being able to instantly go from big picture planning to seeing to the tiniest details in a matter of seconds, Fe is known around the studio as the eye of the hurricane, always able to stay smiling through even the most challenging situations. She has a passion for dreaming up new and exciting designs and always thinking outside the box, and if you ask her the secret to running a successful business with her husband, she’ll tell you quite candidly that the only camera she is allowed to use is on her iPhone!! 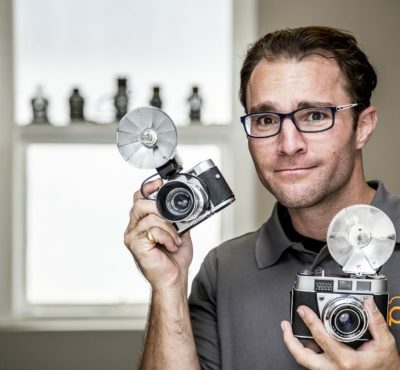 Jeremy Atlan is 3P Photography’s Senior Photographer and Co-Founder. Referred to by his peers in the industry as the ‘MacGyver of Photography’, Jeremy has a reputation around the studio for his ability to solve all manner of technical drama with nothing more than some foil, a roll of gaffer tape and a piece of cellophane. Born in Paris, he studied Electronics in France before moving to the United States at the age of nineteen, and relocated to Australia at twenty-four. With a dream to one day own his own photography company, he set out to build a career with a range of photography experience that includes an International Photo Lab apprenticeship, photographer work at Walt Disney World, Old Time Portraits, Sharp Shooter Spectrum, Kodak and Convention Photography in Florida, going on to develop 3P Photography, with his wife Fiona, in 2009. He was AAPP’s Commercial Photographer of the Year in 2012/2013, and held the title of AAPP president in 2014. Jeremy was also named photographer of the month, and Most Creative Shooter at Sharp Shooter Spectrum, and has photographed celebrities from the King and Queen of Norway to rock legends Jimmy Barnes and INXS. If he wasn’t a photographer, Jeremy says he might have been a Racecar Driver or a Rock Star, but for now, with two little girls of his own, he is dedicated to making kids smile with their eyes and bringing out the best quality in every person he shoots.